Green Infrastructure: Solution to Urban Flooding in Ontario or Overpriced Panacea? Ontario urban flood damages are real. Green Infrastructure (GI), or Low Impact Development (LID) stormwater management measures have been proposed as the solution to urban flooding as well as water quality impairment, stream erosion, and potable water supply security (aka Source Water Protection in Ontario). And proponents have cited that it is CHEAPER to rebuild roads with GI or LID, so why not go "all in". It sounds too good to be true, right? The truth is the incremental costs are higher than conventional , so are operational costs. But the absolute costs for achieving targets proposed the Ontario Ministry of Environment and Climate Change (MOECC) are actually PROHIBITIVE, potentially consuming entire municipal capital budgets for decades. show even HIGHER unit costs for small scale installations. Here's why GI or LID will not be part of Ontario flood risk reduction for our cities 'existing urban development areas. This is discussed under the topics of i) cost, and ii) existing infrastructure and property impacts that can increase flooding. We have included GI / LID retrofit implementation costs for all Ontario municipalities to show the big green pill we would have to swallow. These GI or LID stormwater Best Management Practices (BMPs) have been used for years to address stream erosion impacts due to change in water balance following development, and have been used to manage water quality impacts through vegetative source and conveyance controls, promoted in Ontario's 1994 Stormwater Management Practices Planning and Design Manual. On November 15, 2016, the Environmental Commissioner of Ontario released a report, Urban Stormwater Fees: How to Pay for What We Need. The report cites the issues as follows “Stormwater runoff – from heavy rain or snowmelt – can cause flooding, stream or river-bank erosion, and water pollution" and then "calls on the province to require municipalities to recover the full costs of managing stormwater runoff; for example, by charging landowners a separate stormwater fee based on runoff volumes". It also says the "Ontario government should also require all municipalities to prepare asset management plans for both their grey (pipes, drains, etc.) and green (wetlands, green roofs, permeable pavement, rain gardens, etc.) 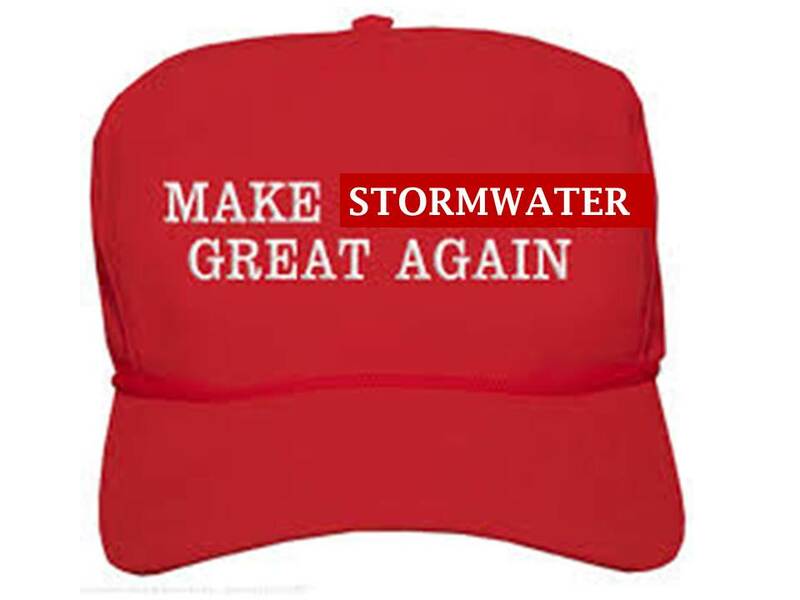 stormwater infrastructure." The Environmental Commissioner of Ontario is on the right track to promote asset management plans with full lifecycle accounting of infrastructure capital, operating and renewal costs. This is already a requirement for all municipalities by the end of 2016 as a condition of receiving federal Gas Tax funding. But no municipalities have done the deep dive into GI and LID impacts, because to date only demonstration, or pilot, projects have taken place. The demonstration projects often have heavy subsidies (donated profession design time, donated materials) that it is difficult to know the true implementation cost for a project, or the cost for municipal-wide implementation. Until now, so read on. And other proponents have reinforced this cost efficiency message, such as Green Communities Canada indicating "The Credit Valley Conservation has produced a number of case studies detailing road right-of-way low impact development projects, and has found that costs are consistently lower than expected and performance has exceeded expectations". A thorough examination of cost claims reveals there are no such savings or efficiencies - GI or LID projects cost more, and the literature case studies for cost savings (typical rural estate residential developments in the southern US) are not applicable to the sustainable built form communities in most Ontario municipalities where urban flooding issues exist. Incremental GI / LID implementation costs for additional elements beyond standard design features has been estimated based on completed projects and unit costs for various measures. The incremental, additional cost is $390,000 per hectare of service area (untreated catchment)(1). The untreated urban area in Ontario is estimated by urban land use area in place in the late 1990’s – early 2000’s and equates to 852,045 hectares(2). The incremental GI / LID implementation cost is therefore $390,000 x 852,045 = $332,000,000,000, i.e., over $330 billion. As an example, the City of Markham's portion of this cost is $4.18 billion which is considered prohibitive as it is equivalent to 34 times the city’s 2016 capital budget of $122.9 million(3). Organizations such as Credit Valley Conservation has identified over 140,000 kilometers of municipal roadway in Ontario(4), equating to 281,621 hectares of right of way(5). The incremental LID implementation cost for roadways alone, assuming no external property runoff is therefore $390,000 x 281,621 = $110 billion. This is considered prohibitive. (1) CVC, University of Toronto and TRCA demonstration projects per City of Markham analysis. The entire national infrastructure deficit for water supply, wastewater, stormwater and roads is $170 billion, of which stormwater comprises 23% or $39.1 billion(1). The Ontario stormwater infrastructure deficit has been stated as $6.8 billion (2). Assuming all Ontario stormwater infrastructure deficit spending is allocated to LID implementation, the area that can be treated is about 17,400 hectares, or 2% of the untreated urban area of Ontario. This would result in an equivalent composite treatment volume of 0.5 mm, assuming a target treatment volume of 25 mm. It is suggested that even this considerable investment, although not prohibitive, would not result in a tangible benefit if only 2% of untreated area is addressed. The reference for the average costs savings is from USEPA (2), but it does not in fact demonstrate such average savings for the two roadway project included in the reference. The first road project is the 2nd Avenue SEA Street in Seattle Washington. The USEPA gives the convention project cost of $868,803, and LID cost of $651,548, suggesting 25% savings. However the Seattle Public Utilities actual project costs of $850,000 (3) for the LID design suggesting very little savings (only 2.2%). Seattle Public Utilities notes the high soft cost of associated with LID design as follows "This included an extensive design and communications budget due to the need to work closely with residents on the design." The second project is Crown Street, Vancouver British Columbia, a street redevelopment project. The project added 79% of the capital cost in consultant design fees and aesthetic design features (capital cost $396k, consultant and aesthetic design features cost $311k), which is line with Markham’s experience on Glencrest Park Raingarden implementation. The USEAP report notes that “Discounting the extra costs, the $396,000 construction cost is 9 percent higher than the estimated $364,000 conventional curb-and-gutter design cost.” The average cost of roadway LID retrofits is therefore 5-6% more than conventional design, or 38% more than conventional design if additional consultant fees and aesthetic design features are considered – this is 63% higher than the average reduced costs cited by CVC. Other USEPA case studies are for rural, large lot subdivisions (e.g., Auburn Hills Subdivision, Southwestern Wisconsin, Gap Creek Subdivision, Sherwood Arkansas, Laurel Springs Subdivision, Jackson, Wisconsin, Mill Creek Subdivision, Kane County, Illinois, Prairie Crossing Subdivision, Grayslake, Illinois, Prairie Glen Subdivision, Germantown, Wisconsin) that are not relevant to Ontario urban areas and not relevant to urban roadway retrofits. It is commonplace that urban areas built between 1960 and 1980 are serviced by partially separated sewer systems that exhibit high extraneous flow rates during wet weather events. Analysis of historical flooding events in the City of Toronto (May 2000, August 2005, July 2013) demonstrates that the 1961-1980 era developments have the highest relative proportion of reported flooding (1). In the City of Markham, the proportion of properties flooded during the August 19, 2005 extreme rainfall was highest for partially separated properties serviced before 1980, with over 2.5% of properties flooded. In contrast, only 0.3% of fully separated properties were flooded. These data indicate that partially separated sewer systems are at significantly higher risk of flooding than new fully separated areas. Statistical analysis of wet weather flows by the City of Ottawa support the variability in risk for different systems, identifying average 100 year extraneous flow rates of 4.87 L/s/ha in partially separated systems and only 0.57 L/s/ha in newer separated systems (2). "Groundwater infiltration (GWI) — Flow deriving from groundwater flowing into the sewer cracks in the pipe, manholes, etc. This I/I component tends to be continuous and dependent on groundwater levels. " Given observed flood history data for wastewater systems and infrastructure management best practices, infiltration LID implementation in existing urban areas that is intended to replenish groundwater systems and raising groundwater levels (or have recharge intercepted in trenches or foundation drains in partially separated sewer systems), would put additional stress on wastewater. This would contributing to increased operating costs where infiltrated water enters the wastewater sewer system during moderate conditions, and increased sewer backups and overflows during extreme conditions. Where LID implementation has a tangible benefit on groundwater levels, it will have a tangible dis-benefit on I/I stresses. iii) recharge targets of 10 mm will result in extensive groundwater level increases, even up to surface(7). Comprehensive analysis of groundwater effects due to LID implementation has been completed for the North Markham Urban Area (Future Urban Area (FUA)), where coupled surface and groundwater modelling at a subwatershed scale allowed effects of groundwater recharge to be assessed in terms of groundwater levels. This comprehensive assessment leverages considerable long-term, investment in the development of the regional groundwater models, refinements to water quantity stress models in three tiers of Clean Water Act refinements, and further analysis refinement at a subwatershed level to refine and calibrate the modelling tools to assess local impacts. In North Markham, the comprehensive modelling results indicate that groundwater levels will increase above existing levels in some areas even if low LID implementation targets for recharge (i.e., 4 mm event) are implemented. If more moderate targets (10 mm event) are implemented, “Most parts of the FUA show a rise in water table above existing conditions and the potential for ponded water in areas where it rises to ground surface”, according to the Phase 2 analysis report (page 79-80). Based on this detailed modelling, infiltration LIDs implemented in existing urban areas are predicted to impact groundwater levels, which in turn adversely affect I&I stresses as noted above, and also adversely affect adjacent properties. The MOECC LID design guidance of 25- 33 mm, 625-825% greater than a target that can increase groundwater levels in some areas, and 250-330% greater than a target that can increase groundwater levels in most areas, would clearly increase groundwater levels significantly in most areas, resulting in significantly higher I&I impacts, and adjacent property impacts. Similarly the Seattle Swale on Yale is lined to prevent water from infiltrating into the ground adjacent to the proposed developments (10). More - check out this high level assessment of GHG /CO2 emission impacts of green infrastructure construction. (2) City of Ottawa, Sanitary Sewer Extraneous Flow Analysis, E. Tousignant, P.Eng., October 1, 2008. (4) City of Ottawa, Sanitary Sewer Extraneous Flow Analysis, E. Tousignant, P.Eng., October 1, 2008. (7) North Markham Subwatershed Study, Phase 2 Assessment. It is not aging infrastructure or extreme weather changes as the Environmental Commissioner of Ontario states - that narrative from the insurance industry has been shown to be incorrect and Engineering Climate Datasets for southern Ontario show mostly statistically significant decreasing trends in extreme rainfall. The Environmental Commissioner of Ontario is right that we have to look at costs to address water resource management challenges in the province, including flooding. We have good models for this in the realm of Source Protection under the Clean Water Act has developed locally-driven, evidence based, semi-quantitative risk management policies for the significant risk. That process has also adopted cost-effective risk prevention policies to prevent future risks from occurring. We can learn from the 15 year post-Walkerton Source Protection process that risks are not universal, nor are the appropriate solutions. For example, potable water quantity risks are not universal across the province: there are “more than 970 wellhead protection areas and 150 intake protection zones within the source protection areas in Ontario” But only 22 municipal systems have required Tier 3 water quantity stress assessments, indicating that water quantity stresses were confirmed at the earlier Conceptual, Tier 1 or Tier 2 evaluations. Of these systems with Tier 3 assessments, only 18 are groundwater systems that would require recharge management policies – this represents a very small fraction of potable water supplies. Applying this to urban flood risk areas would also show a high variability in risk and required solutions (Toronto basement flooding densities vary from > 4 properties per hectare to less than 0.5 per hectare depending on the topography / slopes). Unfortunately, Green Infrastructure and Low Impact Development stormwater management measures have been proposed as a universal solution, regardless of local issues to address. regardless of more cost effective pollution prevention measures (ban fertilizers like we did with pesticides), regardless of clearly prohibitive implementation costs, and regardless of impacts to existing wastewater systems in existing urban areas. When something is promised to solve all our problems and cost less, it is a "Trumpesque" proposition at best. Fulsome economic analysis shows that Green Infrastructure and Low Impact Development stormwater management measures are unaffordable for Ontario urban retrofits, and fulsome technical analyses shows that implementation would be counter productive for flood risk reduction where infiltration is already a chronic challenge in many Ontario cities, and should not be aggravated by additional recharge from well-meaning GI and LID measures.